Colorado Ranger horses are from the Colorado High Plains in the United States. They are descended from two stallions imported from Turkey to Virginia, US, in the late 1800s. These stallions were then bred to ranch horses in Nebraska and Colorado, and in the early 1900s the two stallions who every registered Colorado Ranger traces to, Patches #1 and Max #2, were foaled. The breed was championed by rancher Mike Ruby, who founded the Colorado Ranger Horse Association in 1935. By 2005, more than 6,000 Colorado Ranger horses had been registered. Colorado Rangers may be any solid color or carry leopard spotting patterns. 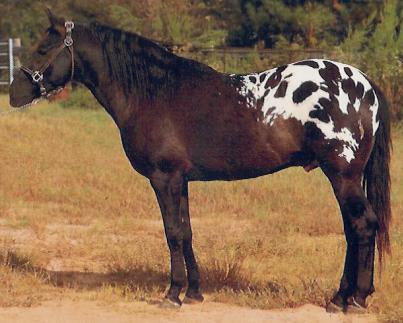 Pinto coloration and American Paint Horse breeding are not allowed, nor are draft horse and pony breeding. Colorado Ranger horses may be dual registered with the Appaloosa Horse Club, and approximately 90 percent are.